A few weeks ago, as I was standing in the checkout line of a store, panic set in. No, I hadn’t forgotten my purse or lost my kids. I realized… a part of me has become my parents. Here’s why: This wasn’t any store. It was a secondhand store near my house. And it wasn’t any day. It was 25-Percent-Off-Thursday. My cart was piled high with winter boots and hats for the kids, a few dress shirts and vests for my son (they looked like new!) and even more skirts, winter pants and shoes for my daughter. Just look at the brand name on the tag! Score! Even then, when the store clerk ran up the total, it seemed high to me, and I asked to make sure she had taken off my discount. As a mom myself, I can appreciate their desire to simplify their lives and save money, so there would be money for other things. Alongside their extreme lengths to save, we always went on vacation, were exposed to community theater, took piano lessons, tried unusual foods and were involved in extracurricular activities at school. I also appreciate the discipline it must have taken them to avoid the frivolous things, year after year. And when you don’t have a lot, you are forced to get creative with what you do have. I remember my mom making a really great cow costume for Halloween one year out of little more than paper plates and brown paper sacks. I often made my own “pottery” from the clay-like soil on our acreage and whipped up batches of “stew” using real wild onions and other flora from the woods. I’ve heard that many kids today suffer from a nature-deficiency that can affect even their emotional health as adults (check out “Last Child in the Woods” by Richard Louv). There was absolutely no chance of this happening in my family of origin. In my family today, as unplanned expenses come up, or when planning ahead for Christmas and vacations, I often revert to the “what can I do without?” mentality of my youth. Though I will never install a composting toilet, I do know that my kids don’t care where their clothes are purchased yet, so my current go-to-money-saver is the thrift store. And you know what? My daughter doesn’t even know she’s doing “without.” In fact, she typically pushes past the more expensive items in her closet to find a pink corduroy skirt with ruffles from, you guessed it, the thrift store. Looking to save money by making Christmas presents with your kids this year? 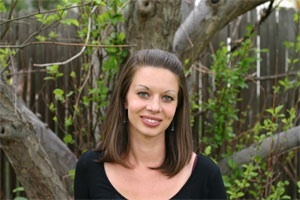 See Lydia’s article “Home(made) for the Holidays” in the December issue of Colorado Parent magazine: http://www.coloradoparent.com.